March 18th, 2016 | Posted by Velda in ACUPRES.,MERIDIANS, REFLEX. 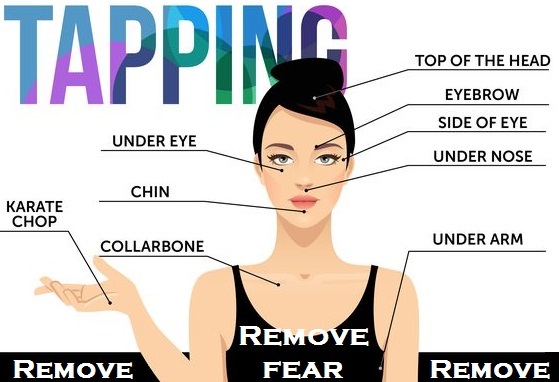 EFT (Emotional Freedom Technique) has become a very simple and effective tapping practiced by adults as well as children. It is universally used by professionals as well as novice for physical, emotional, and performance issues. The Tapping is done with two or more fingertips. This is so you can cover a larger area and thereby insure that your Tapping covers the correct point. 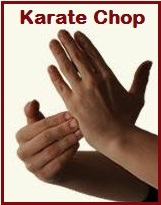 While you can tap with the fingertips of either hand, most people use their dominant hand. You tap approximately 5 times on each point. Where there are two identical points on each side of the body, you can choose to do only one side or both. 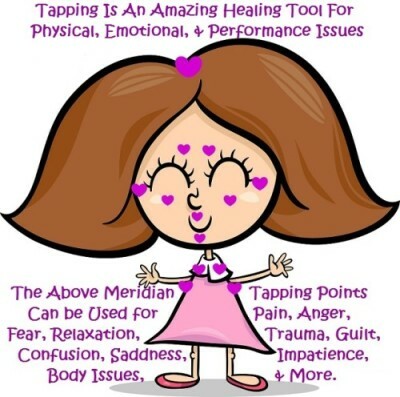 Before beginning a series of tapping, rate the intensity of how you are feeling from 0-10 (10 being the most upset). 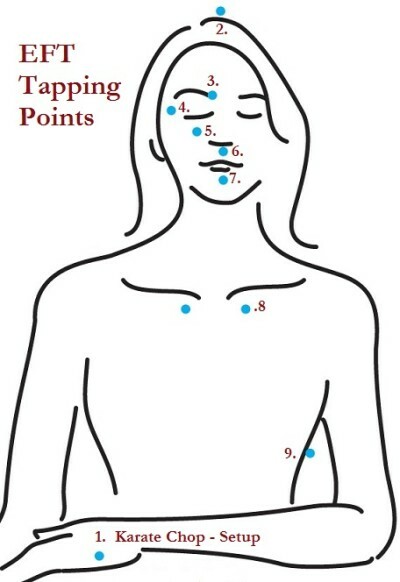 This will measure how often you may need to repeat the tapping series. Read the script out loud, allowing your emotions to be heard. 1. Even though I am so afraid, I accept how I feel. 2. Even though my stomach does a flip whenever I think of_____. I love and accept myself anyway. 3. Even though I don’t feel in control when I’m afraid and that makes me even more afraid, I deeply and completely love and accept myself. 2. Top of Head: My stomach churns whenever I think of . . .
Collar Bone: No it won’t! 3. Top of Heat:What can I do?